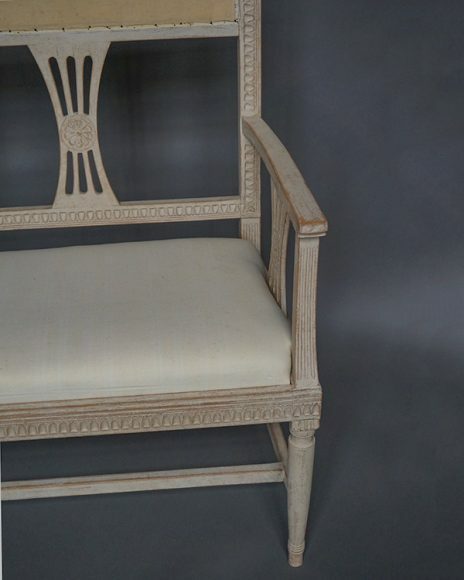 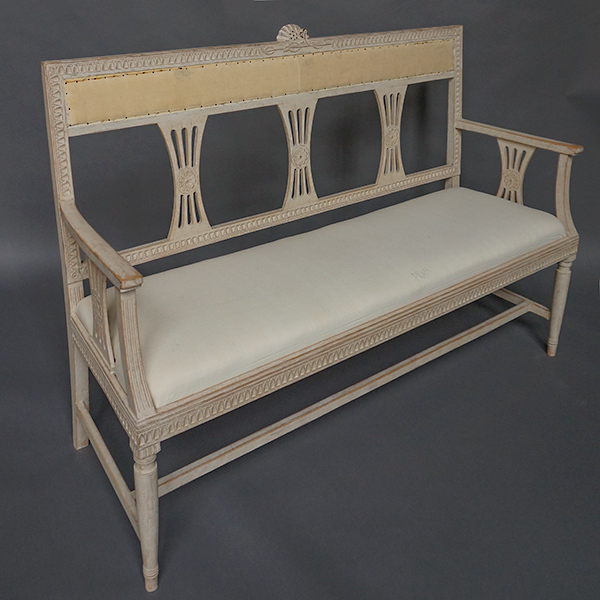 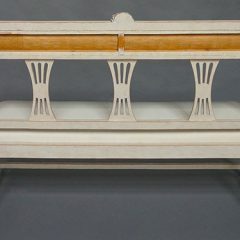 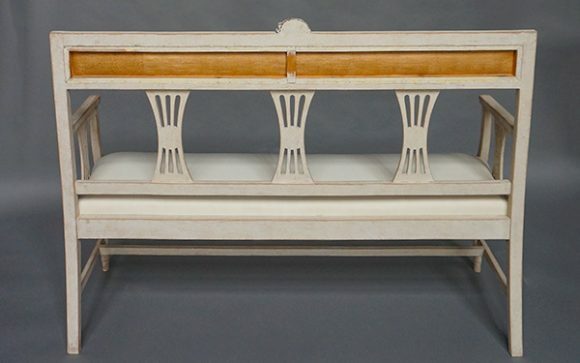 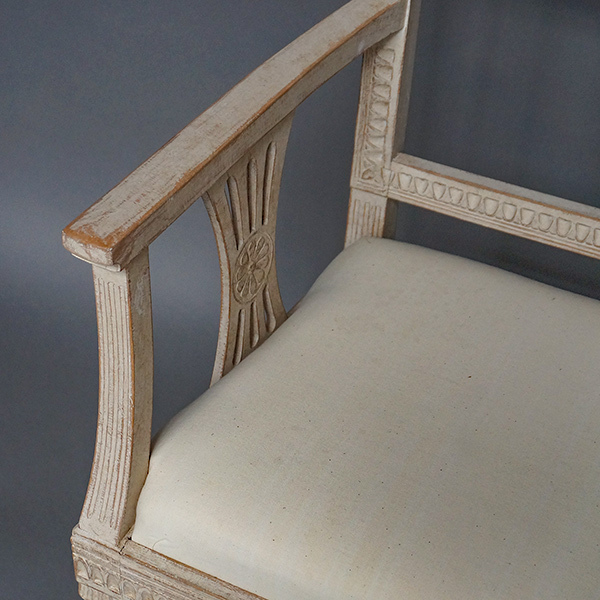 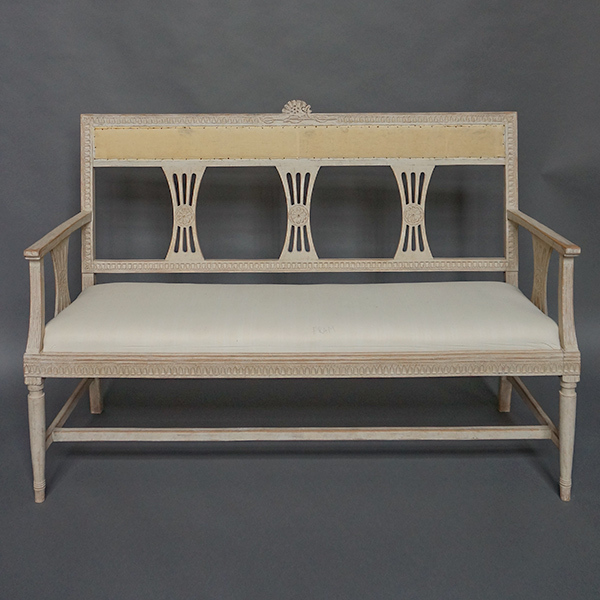 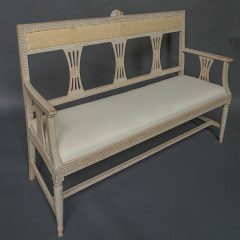 Small Gustavian style settee, Sweden circa 1910, with upholstered seat and back rest. 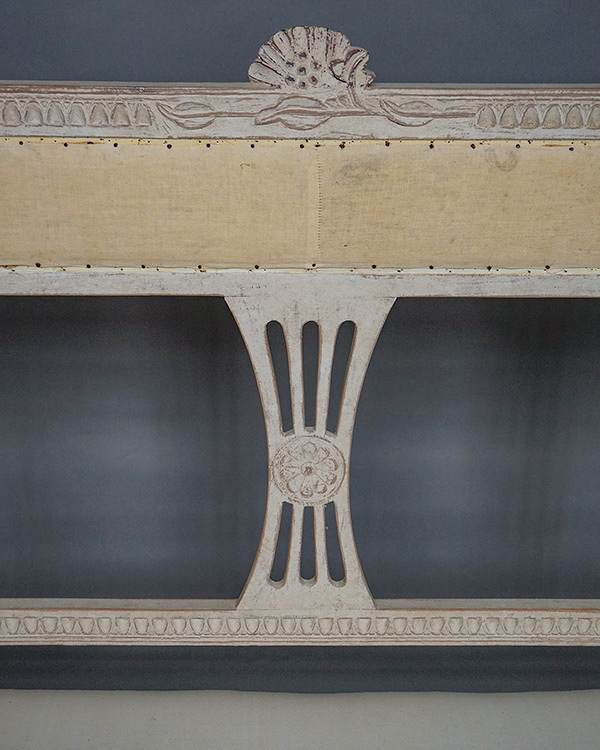 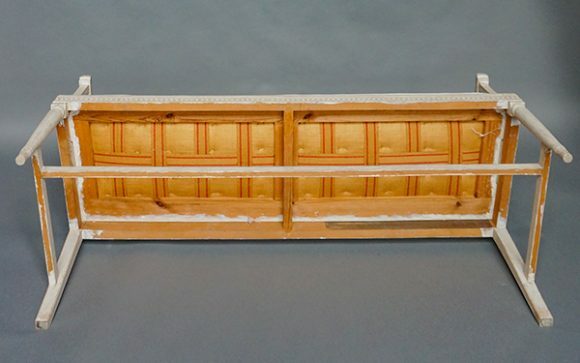 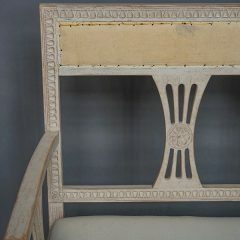 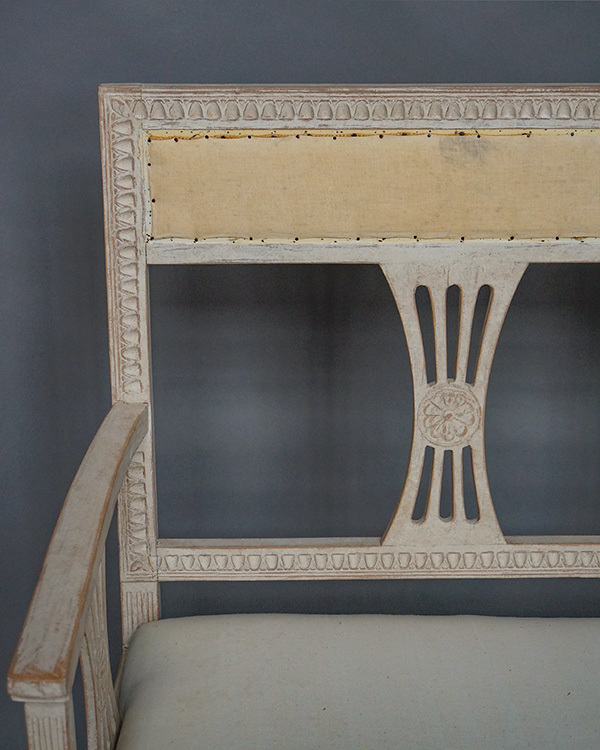 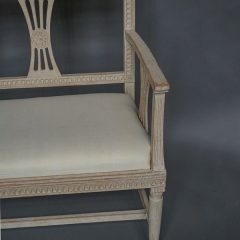 Lambs tongue molding surrounds the back and seat, and pierced splats with central rosettes support the back and arms. 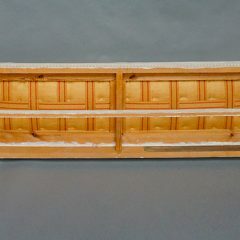 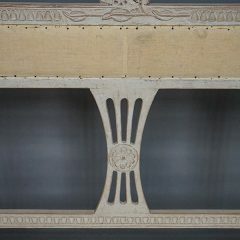 A carved spray of flowers is placed at the center of the top rail. Tapering round legs with an h-shaped stretcher.